“There is a tendency for councils to jump into trading activity without being clear about what they are trying to achieve, what the pitfalls might be and whether there are less risky alternatives for achieving the same goals.” So runs Unison’s guide to setting up local authority trading companies – or LATCos for short. Since the Localism Act 2011 first allowed local authorities to create these arm’s-length organisations with profit generation as a core mission, more than 60% of councils have gone down this particular entrpreneurial avenue. One of the latest is Oxford City Council, which in February voted to turn its services wing into a commercial company, wholly owned by the council. Oxford Direct Services (ODS), which runs repairs, maintenance, commercial recycling, and pest control services, among others, is required to return about £1.5m to the council every year, but everything above this amount it can keep and reinvest back into services. So why spin out core services? Thinktank Localis argues it is entirely due to necessity. “Without these entrepreneurial activities, eight out of ten councils say they would have to cut services and raise taxes,” Localis said in a 2015 report. In the age of austerity, only the most entrepreneurial will survive. The Local Government Association warned in 2015, when councils were offered a four-year settlement with the aim of bringing some stability to the sector, that councils faced “tough decisions about how to keep providing the hundreds of vital services which communities value and rely on to go about their daily lives”. Similar warnings have been made at a regular rate to the present day. Faced with these tough decisions, frontline services such as building repairs, landscaping, and commercial recycling have been outsourced and privatised. Running services at a profit sounds like a cultural misnomer, but it has instead become the norm. Mr Howick, previously HR manager at Oxford City Council, insisted, that ODS is “the furthest thing from outsourcing you can imagine” and claimed it can not only turn around a profit but also grow by 20% over the next five years. “ODS is a spin out but still wholly owned city council. The use of the term ‘private sector’ doesn’t really help with the description because we will be reinvesting the profits back into the council,” said Mr Howick. ODS said in a statement that from 2019 onwards “increased returns will be achieved by a combination of delivering services more efficiently and winning new business”. Mr Howick insisted that those efficiencies would not mean job losses, although he did not go into detail about how they would be achieved. 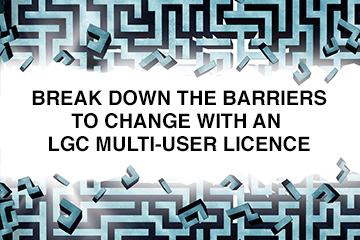 When LGC took an in-depth look at councils’ companies three years ago, there was a mixed bag of success. As Ray Morgan, chief executive of Woking BC, which has a low carbon energy company Thameswey Ltd, told LGC in 2015: councils should be “realistic” about what their companies can deliver. “Don’t think this is a quick way of solving local government funding problems because it is not,” he said. Northamptonshire CC’s ‘next generation council’ model is a wholesale departure from the traditional methods of providing public services.